The United Nations Platform for Space-based Information for Disaster Management and Emergency Response (UN-SPIDER), with headquarters in Bonn, Germany, has given the National Disaster Management Organisation (NADMO) the permit to leverage the UN-SPIDER’s satellite platform for emergency response in Ghana. The UN-SPIDER is a platform which facilitates the use of space-based technologies for disaster emergency response in countries. The Director-General of NADMO, Mr Eric Nana Agyemang-Prempeh, who made this known in an interview with the Daily Graphic in Accra yesterday, said NADMO was admitted to the platform after its technical officers had successfully completed various training sessions in Bonn, Vienna and Beijing late last year. He said Ghana had thus become the first country in West Africa to be hooked onto the platform, adding that from its current position, NADMO was placed to assist other West African nations to battle disasters when they were in distress. Explaining how the system operated, Nana Agyemang-Prempeh said in the event of a major disaster, trained officers of NADMO, with the use of their laptops, would, in a matter of seconds, receive real time satellite images of what was happening in the disaster area to enable the nation to respond appropriately. He said Ghana’s disaster management strategy was moving away from mechanical to remote sensing where emergency response could reach disaster sites, no matter where they occurred, without much difficulty. Nana Agyemang-Prempeh said two years into the change of leadership, NADMO had seen appreciable changes in its operations. For instance, he said, work on the Legislative Instrument (LI) for the implementation of the new NADMO Act 2016 (Act 927) was almost complete and would soon be laid before Parliament. He said a lot of work had gone into the work to ensure that NADMO strengthened its operations in order to manage disasters more efficiently. The process of preparing regulations to implement the NADMO Act began in October 2017. Nana Agyemang-Prempeh said there had been major reforms to the existing operational methods aimed at bringing NADMO at par with international disaster management standards. “Across the country, the organisation has worked to put in place mechanism to address perennial issues that lead to disasters like floods, fires and drought. “The operations team has, in the last two years, put in place a swift approach of response to disasters and effectively played its central role of coordination among sister agencies involved in disaster management,” he said. In 2017, he said, NADMO, with the support of well-meaning Ghanaians, had the opportunity to show its competence on the international stage during the unfortunate landslide disaster in Sierra Leone with the provision of logistical and technical support to manage the crisis. “Last year, the African Union (AU), through its African Risk Capacity Insurance Programme, gave NADMO a certificate of good standing,” he said. 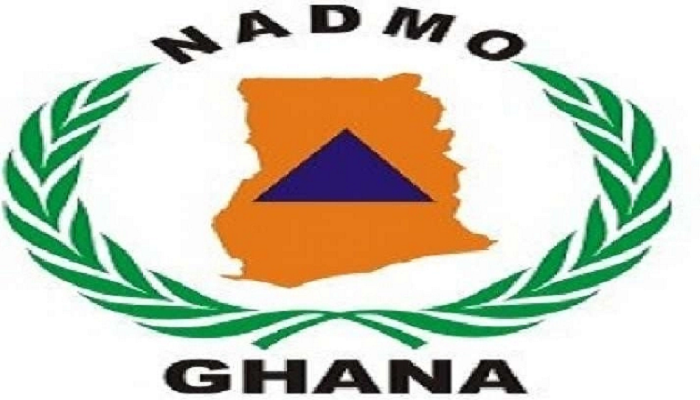 The NADMO boss said the leadership of the organisation had been interested in the technical and personal development of its staff, which had been done effectively through regular staff training, both locally and internationally. “An example is the first-ever earthquake table top and full-scale simulation exercise held in conjunction with the North Dakota National Guard in 2018, an exercise which was key to examining our preparedness for an earthquake or earth tremor,” he said. According to him, issues of climate change and global warming and their effects on the environment which could possibly lead to disaster had also receive attention. He said the government was committed to disaster prevention, for which reason the current leadership had intensified outreach programmes using Disaster Volunteer Groups (DVGs) to help educate the public on how to prevent and manage disaster at the basic level. He said the organisation was establishing disaster clubs in tertiary and second-cycle institutions to inculcate disaster management in the youth so they grow with it. “The era when NADMO was associated with the distribution of relief items is gone. Now we are more interested in prevention,” he said.